Konecranes has recently won significant contracts with the Georgia Ports Authority and with Hutchison Ports to deliver container handling equipment. 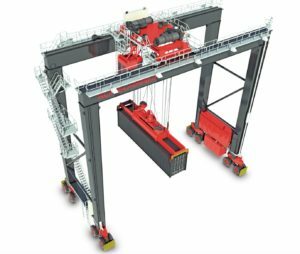 The Board of the Georgia Ports Authority (GPA) has approved the purchase of 10 additional Rubber Tired Gantry (RTG) cranes for the Port of Savannah, Konecranes informs today. This will bring the fleet at the port’s Garden City Terminal to 156 Konecranes RTGs. The Port of Savannah had a record April in which 356,700 TEU were moved, up 7.1% over April 2017. According to Griff Lynch, GPA Executive Director, in the current fiscal year the Port of Savannah is expected to handle over 4 mln TEU for the first time in its history. As the fastest growing container port in the USA, the Port of Savannah has achieved a compound annual growth rate of more than 5% a year over the past decade. The Konecranes RTGs will handle containers in three new container rows that will increase annual capacity at the Port of Savannah by 150,000 TEU. Capable of running on electricity with cable-reel readiness, the cranes will have a lifting capacity of 50 metric tons and stack 1-over-5 containers high and 6 plus 1 containers wide, leaving one lane alongside the stacks for trucks. The cranes will be delivered in two batches of five in Q1 and Q2 of 2019. 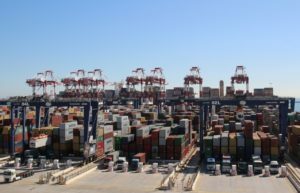 For Hutchison Ports BEST container terminal in the port of Barcelona, Konecranes will deliver 6 Automated Rail Mounted Gantry (ARMG) cranes. The delivery, which will be made by container blocks, two cranes per block, is scheduled for the first half of 2019. BEST container terminal already operates 48 Konecranes ARMGs at the large automated container yard and 2 RMGs at the rail front. The cranes currently on order are identical to those already working, stacking 40t. containers 1-over-5 high and 9 wide. The arrival of the new cranes will be the final stage of the second phase of the semi-automated terminal’s expansion which began in 2014. The expansion has seen the number of automated container storage blocks increase from 24 to 27. Since its official launch in September 2012, BEST has continued to set new standards for ports in Southern Europe: achieving a ship productivity rate of more than 200 movements per hour and a sustained average performance of over 40 movements per hour per crane, one of the highest in the world. The terminal, which occupies 79 hectares and has a 1,500-metre berth with a depth of 16.5m, currently operates with 11 Super Post-Panamax quay cranes, 48 ARMGs (Automatic Stacking Cranes), 2 RMGs and 30 Shuttle Carriers.